T-R PHOTO BY ROSS THEDE - Meskwaki senior Abigail Iron Shell (23) is fouled from behind by BGM’s Rachel Hawkins during the second half of Saturday’s Class 1A Region 4 girls basketball game at Meskwaki Settlement. Iron Shell had 10 points in the Warriors’ 45-26 victory. MESKWAKI SETTLEMENT — Enough early shot attempts got returned to sender that the Meskwaki girls’ basketball team finally received the message. The Warriors had to get BGM out of the half-court game if they were going to exploit their advantage, and some added pressure on defense kickstarted the deciding turn of events. 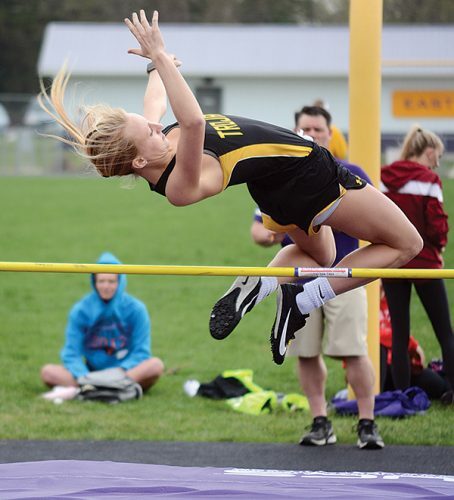 Payton Tahahwah turned a steal at the top of the key into a layup on the other end and the Meswaki girls used the momentum to overcome BGM’s surprising surge for a 45-26 triumph in Saturday’s Class 1A Region 4 first-round pairing. The Warriors (11-8) advance to host HLV (3-17) in Tuesday’s 7 p.m. quarterfinals after beating their fellow South Iowa Cedar League compatriot in Saturday’s makeup game. The originally-scheduled Thursday pairing was pushed back by winter weather, but the comforts of home didn’t change. T-R PHOTO BY ROSS THEDE - Meskwaki sophomore Deandra Navarro (2) is fouled by BGM’s Rachel Hawkins on a layup attempt during the second half of Saturday’s regional game. Navarro finished with seven points. The Warriors fell behind 4-0 before getting on the scoreboard six minutes into the game, slowly figuring out that shots in the lane were ill-fated against BGM’s senior post Kelsey Lint. Outside shots were off the mark for both teams, too, so the game slogged to a 20-10 halftime lead for Meskwaki. BGM (9-13) fired out of the locker room with eight of the first nine points of the third quarter, climbing to within 21-18 after a Rachel Hawkins 3-pointer with 6:05 remaining in the period. That, however, was the last time the Bears saw the ball go in their basket for the rest of the third. Tahahwah picked off an entry pass at the top of the key and took it back for a layup, and sophomore guard Deandra Navarro did the same on BGM’s next possession. Abigail Iron Shell and Navarro both added transition layups and Meskwaki was on the go. The spark set off a full-blown blaze as the Warriors scored the final nine points of the third quarter to regain a 30-18 lead that only expanded in the final stanza. “Our intensity went down and it gave [BGM] the thought they were going to win the game, but we couldn’t let that happen,” said Navarro. “We picked it up, we brought each other up to get the intensity up and that sealed the game for us. Tahahwah finished with a game-high 15 points to lead the Warriors, while Iron Shell scored 10 points and Navarro added seven. 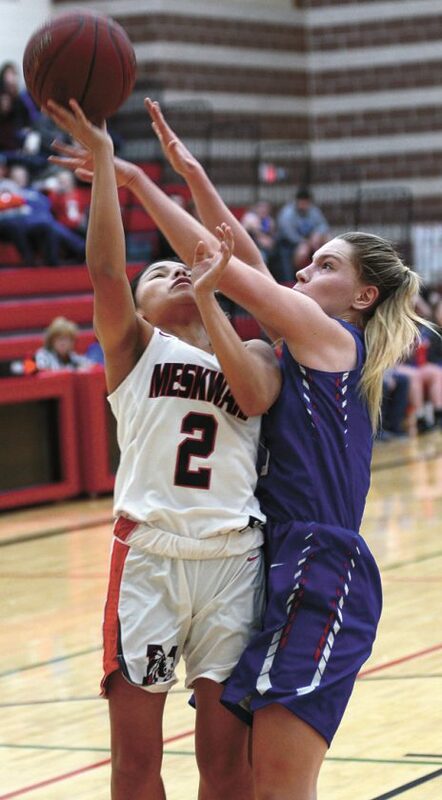 Meskwaki made just one 3-pointer in the game, but BGM couldn’t overcome its deficit after sinking its only pair of 3-pointers during that 8-1 run to start the third quarter. 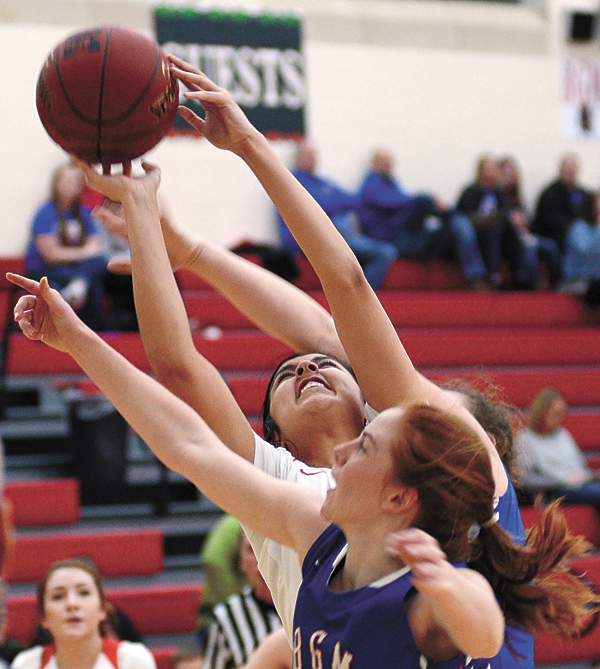 Meskwaki shot 7-of-12 from the free-throw line in the fourth quarter to help evade any late comeback by BGM, but the Bears simply didn’t have it in them. 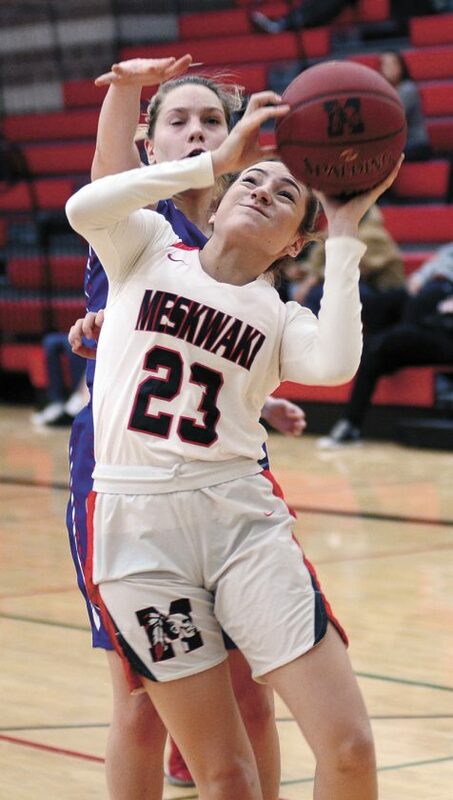 Lint led the Bears with seven points, but her paint presence was limited by Meskwaki’s scrappy guards sinking into their 1-2-2 zone to help defensively, along with Tori Lasley’s outstretched arms under the basket. 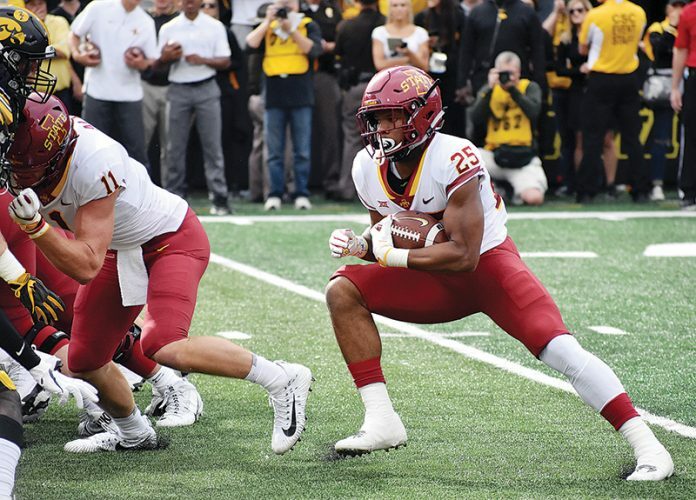 “There are some teams we don’t necessarily want to run against, but we felt like that was something we could take advantage of,” Murphy said of the matchup. “When BGM gets their zone set with Lint in the middle — she had I-don’t-know-how-many blocks in the first half — so we were trying to get out int front so they couldn’t get set and that gave us some lanes to attack. 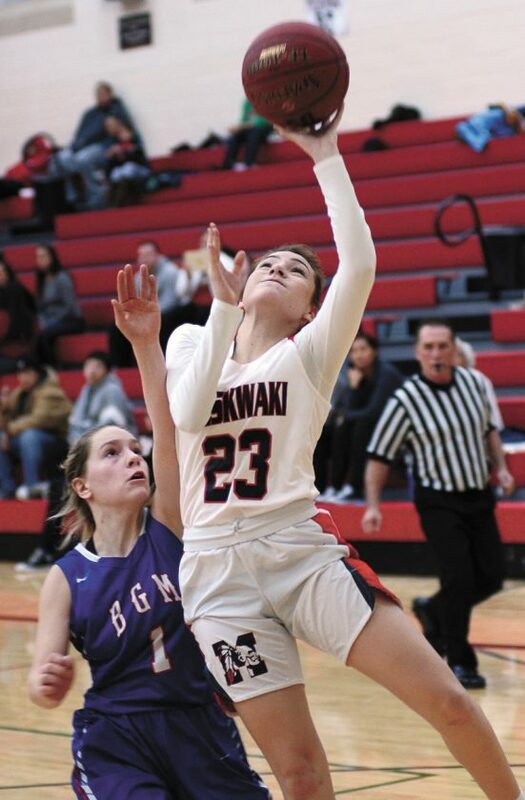 BGM’s 26 points finished as the fewest allowed by Meskwaki this season, and the Warriors turn around to host an HLV team that tallied its season-high in a 50-49 victory over GMG on Friday night in Garwin. BGM beat HLV twice during South Iowa Cedar League play by an average of 28 points per game. “It’s always nice to be home where it’s the hoop you practice on all week and you’ve got hometown fans,” said Murphy. “There’s something about having that routine, no matter what day it’s on, it’s still in your gym and that’s always going to feel good. 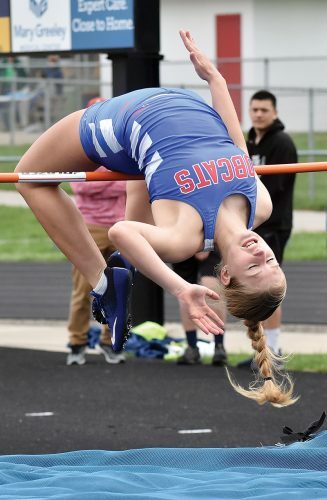 BGM (9-13) — Rachel Hawkins 1 0-0 3, Marian Coover 0 1-2 1, Rylie VanErsvelde 2 0-0 5, Kelsey Lint 3 1-2 7, Rylie Gritsch 0 3-4 3, Belle Austin 1 0-0 2, Morgan Kline 0 2-2 2, Taylor VanErsvelde 0 0-0 0, Olivia Ohler 0 0-0 0, Rachel Weiss 1 0-0 2, Alexa Coleman 0 0-0 0, Paige Cottrell 0 1-2 1. TOTALS 8 8-12 26. MESKWAKI (11-8) — Geanna Bear 0 0-0 0, Payton Tahahwah 6 3-5 15, Leticia Garcia 1 0-0 3, Abigail Iron Shell 3 4-8 10, Tori Lasley 2 0-0 4, Shye Johnson 0 0-0 0, Deandra Navarro 3 1-3 7, Genesis Ramirez 0 0-0 0, Marley Whitefish 0 0-2 0, Danielle Seymour 1 2-2 4, Summer Youngbear 1 0-0 2. TOTALS 17 10-20 45. 3-Point Goals–BGM 2 (Hawkins, R. Van Ersvelde), Meskwaki 1 (Garcia). Total Fouls–BGM 15, Meskwaki 12. Fouled Out–none.